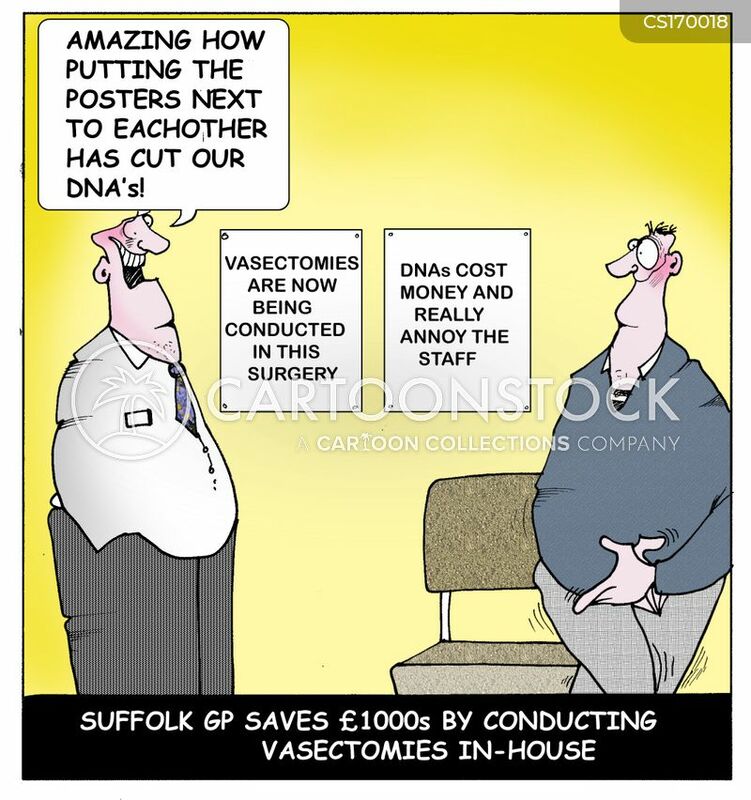 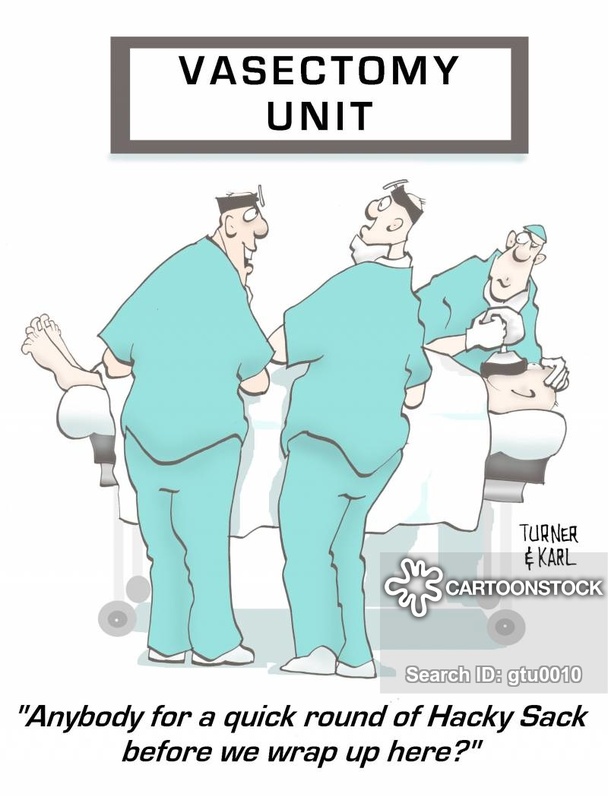 Suffolk GP saves ?1000s by conducting vasectomies in-house. 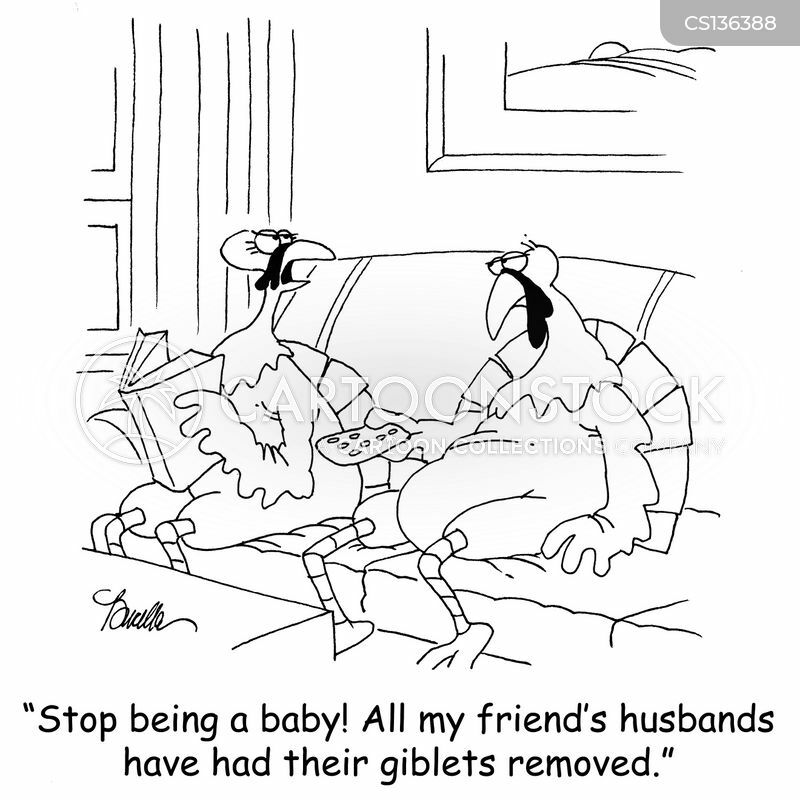 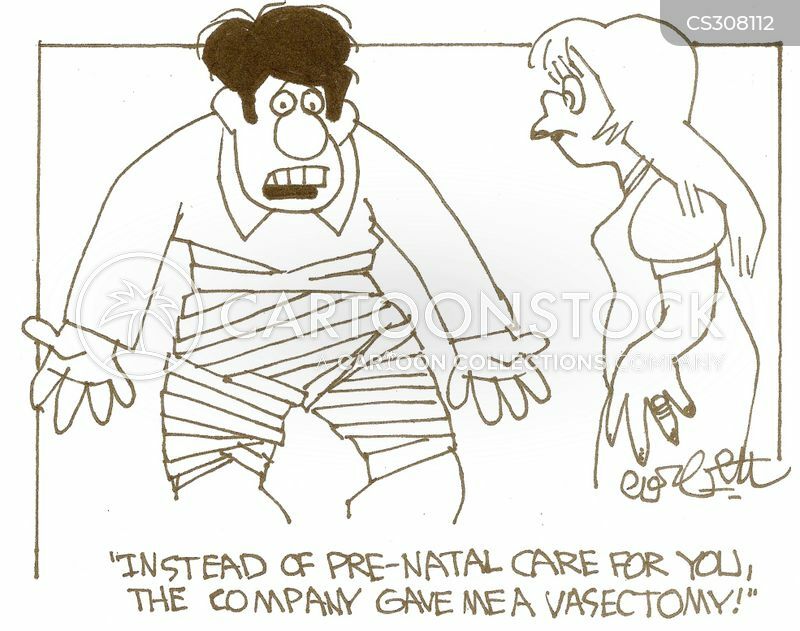 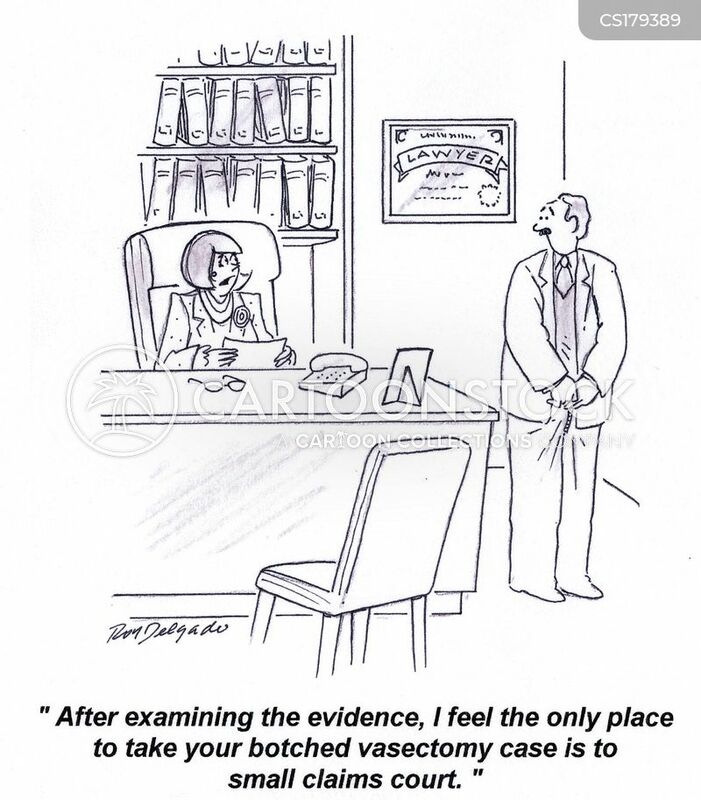 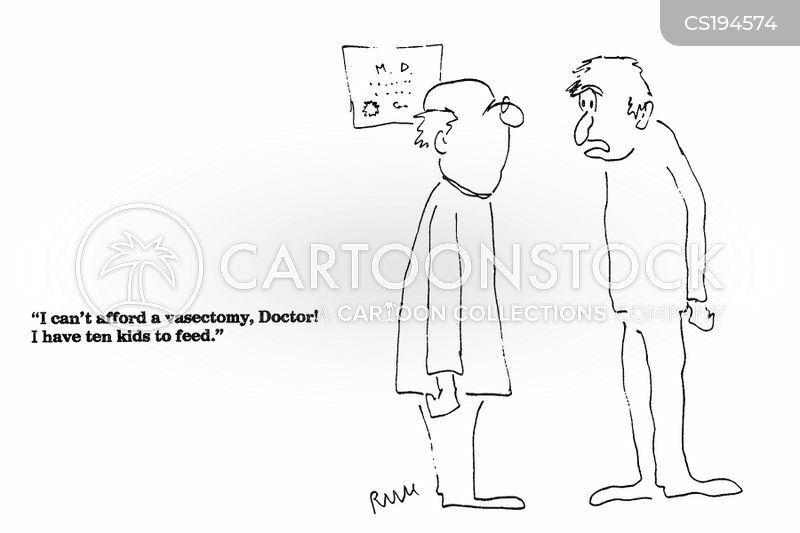 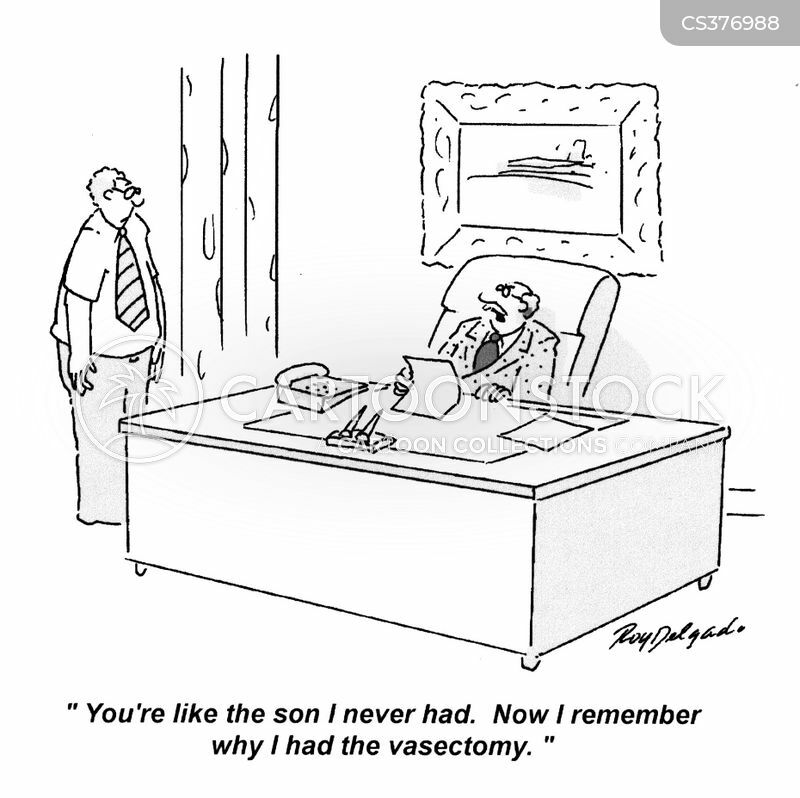 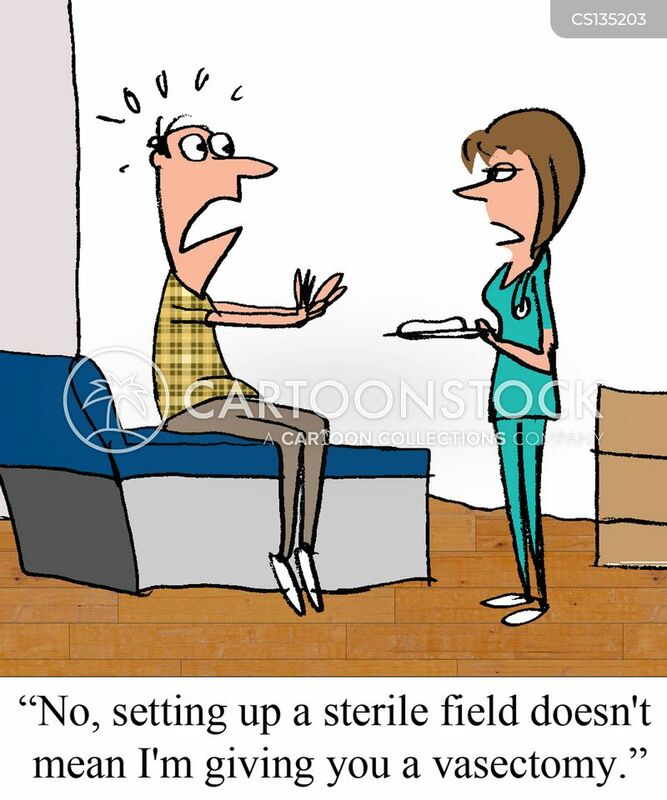 "No, setting up a sterile field doesn't mean I'm giving you a vasectomy." 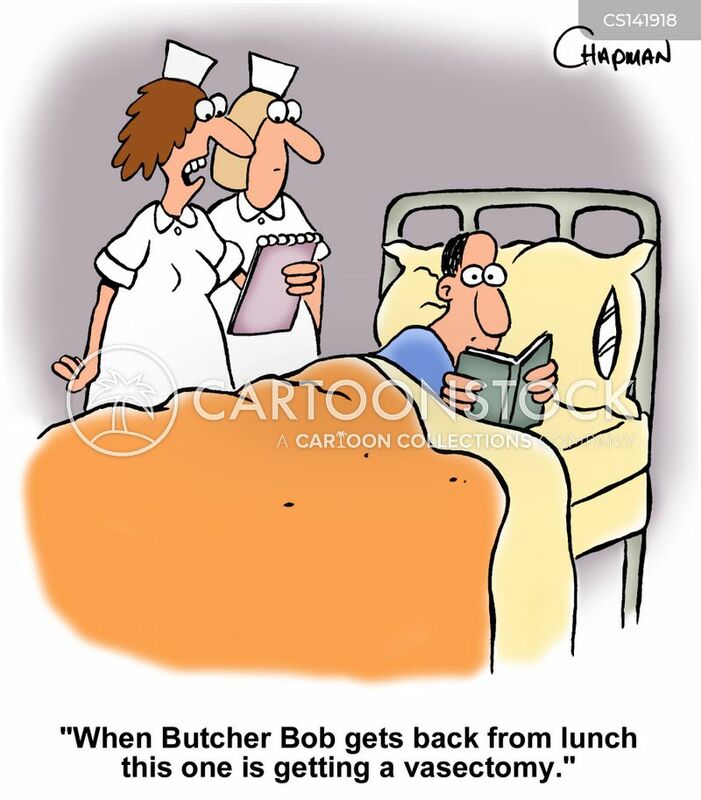 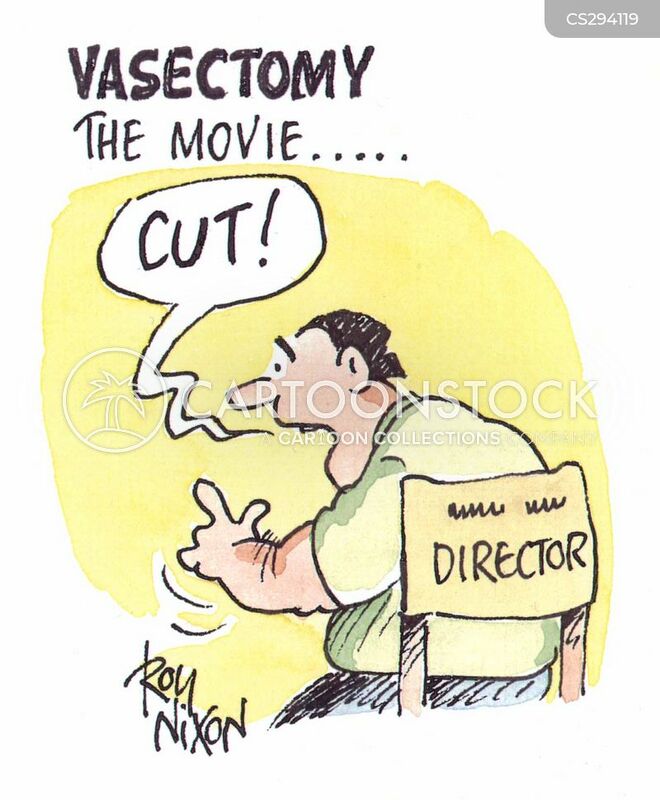 "Monsieur has just ordered a vasectomy ... "
"When Butcher Bob gets back from lunch this one is getting a vasectomy." 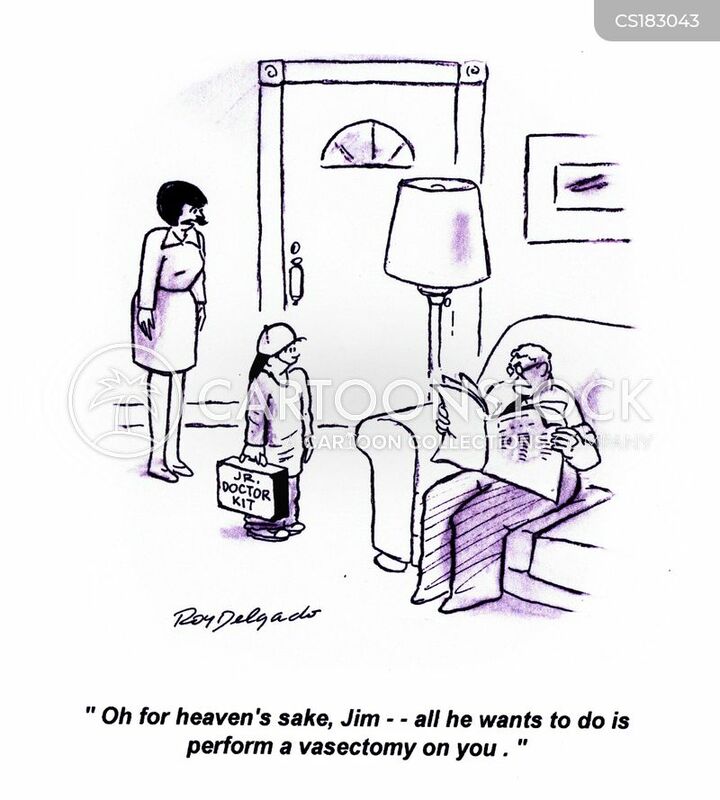 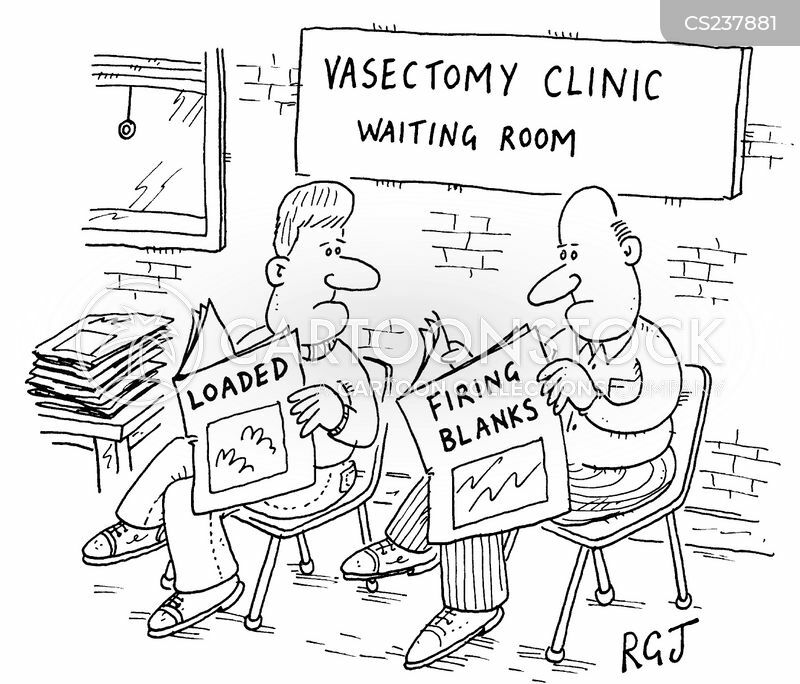 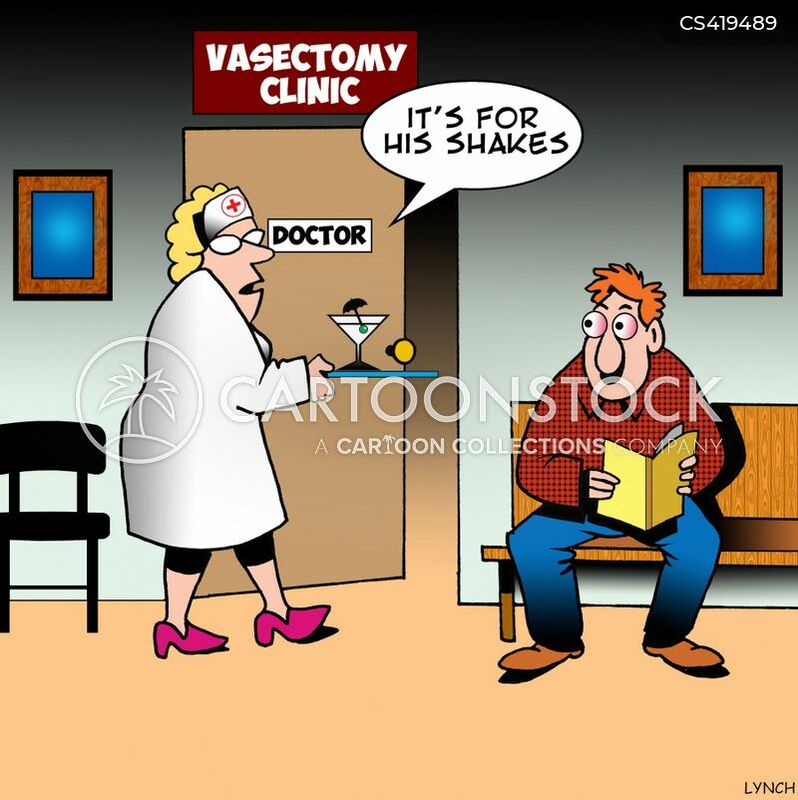 "The vasectomy clinic? 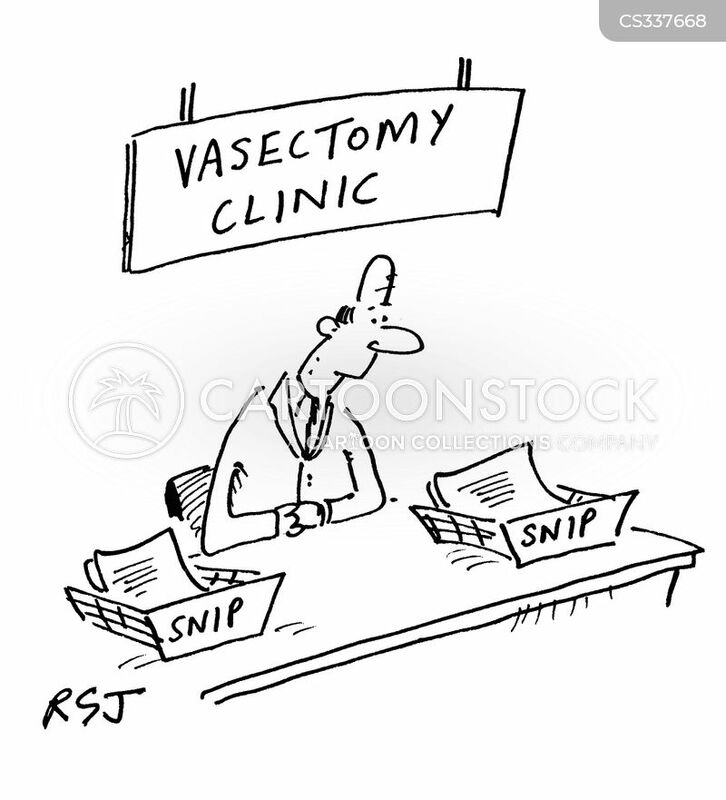 Go past the barbers, left at the scissor factory, cut through the bollards and it's opposite the sewing machine shop." 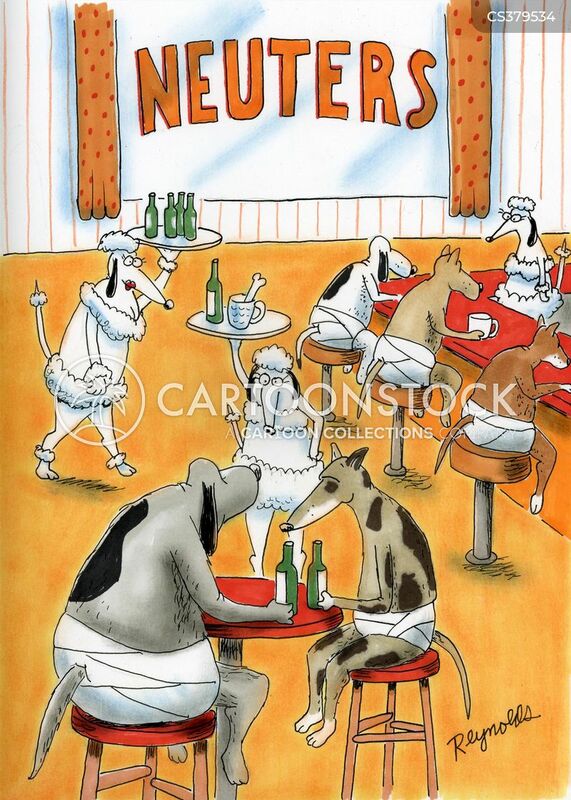 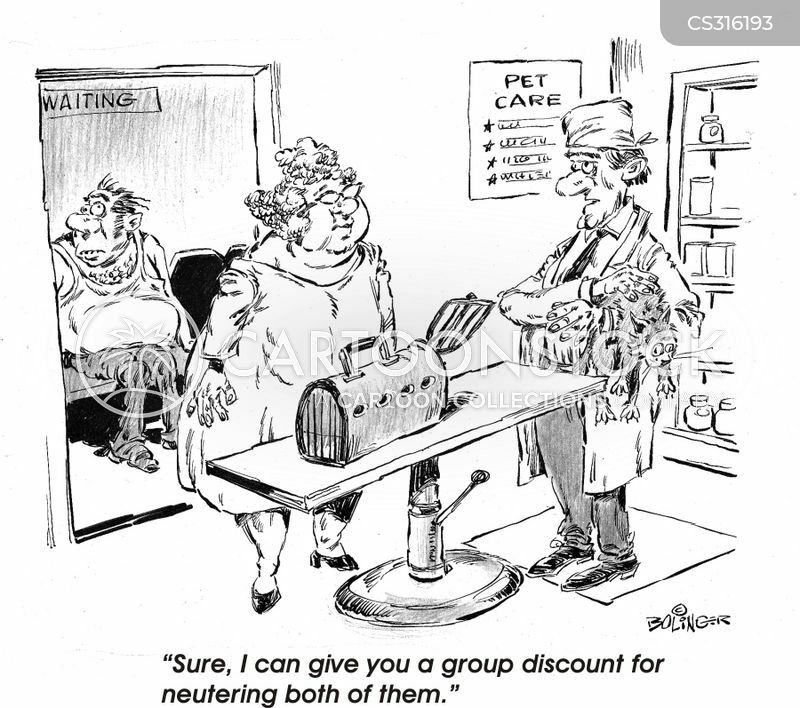 "Sure, I can give you a group discount for neutering both of them." 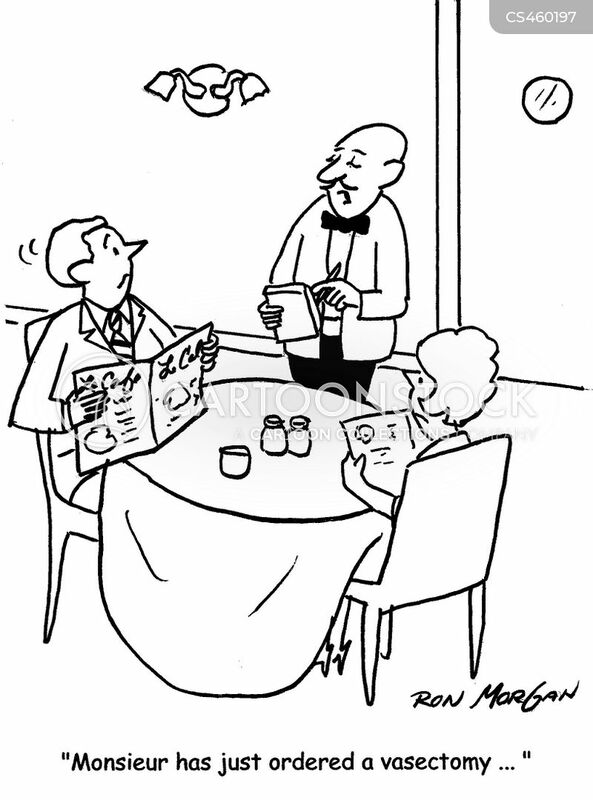 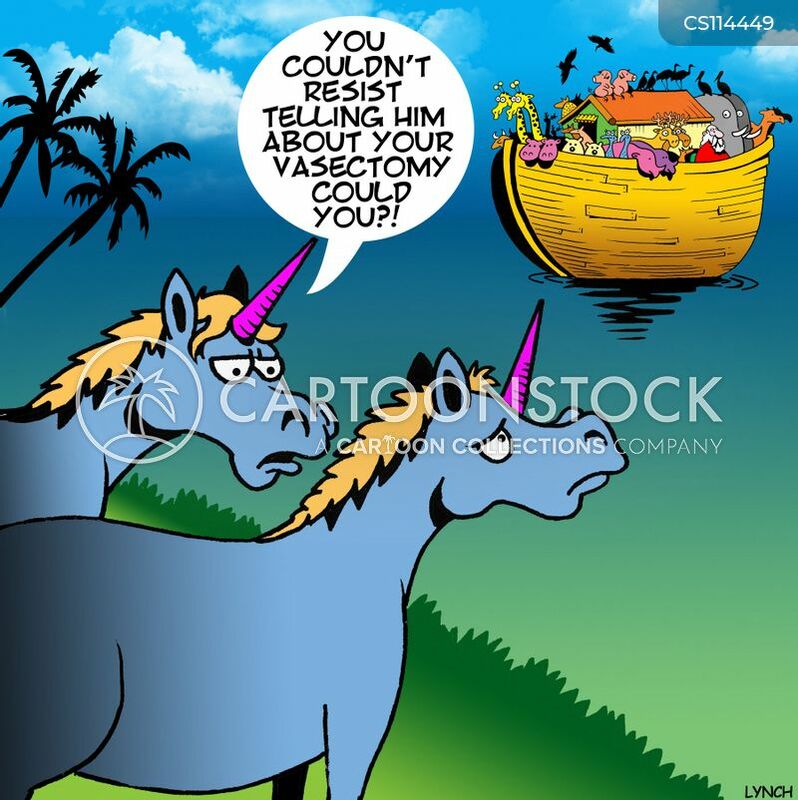 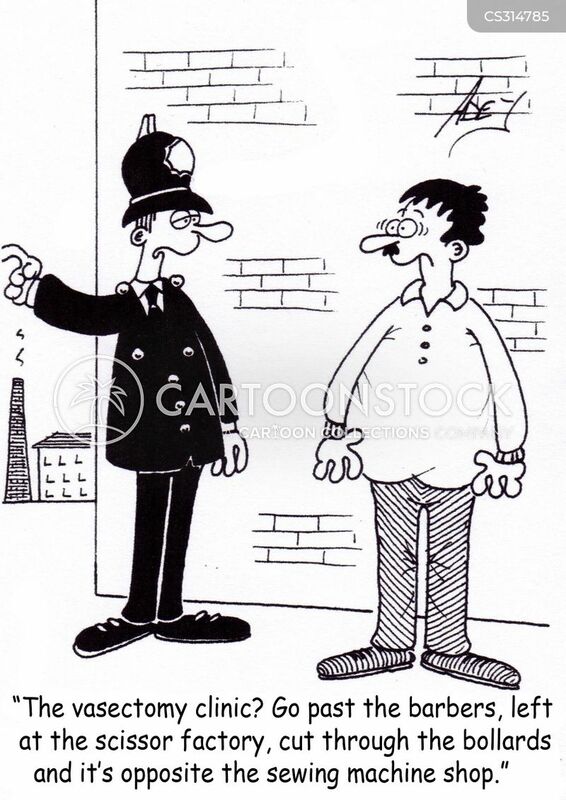 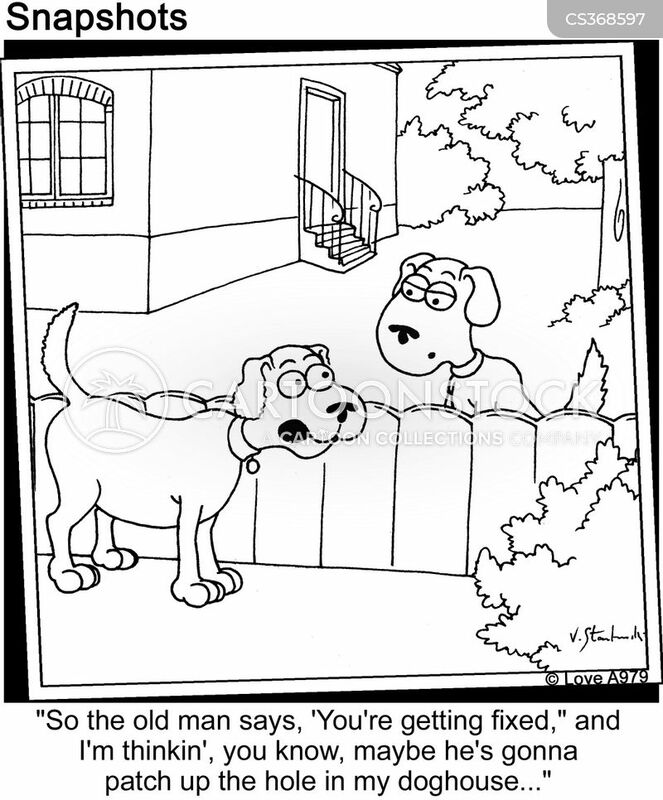 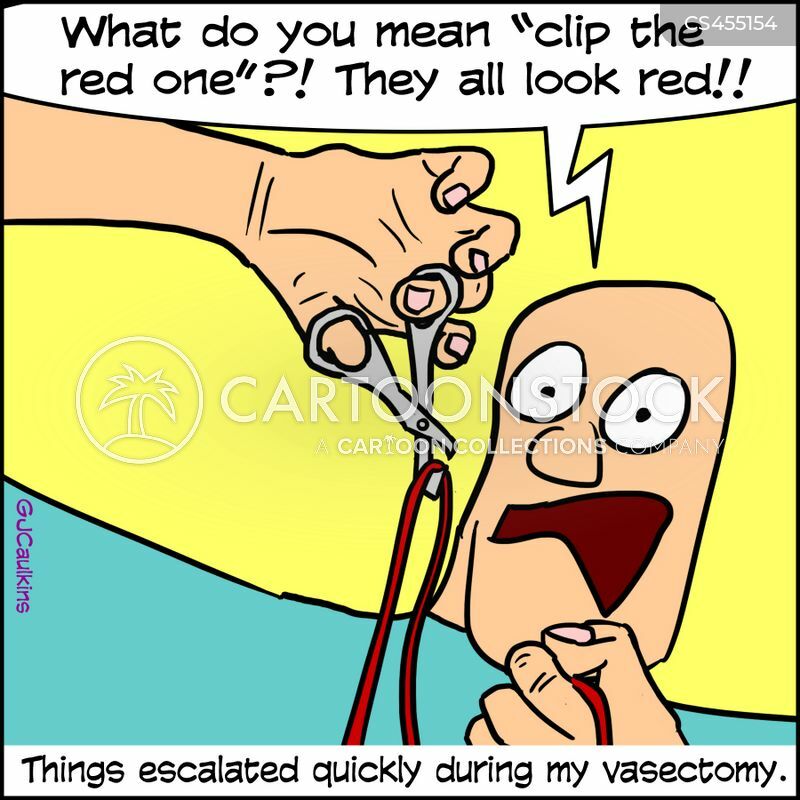 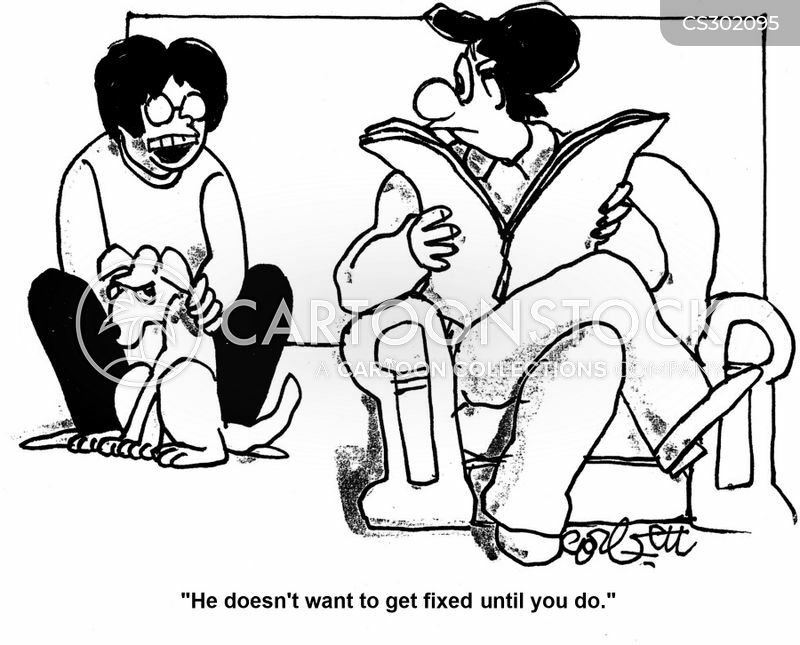 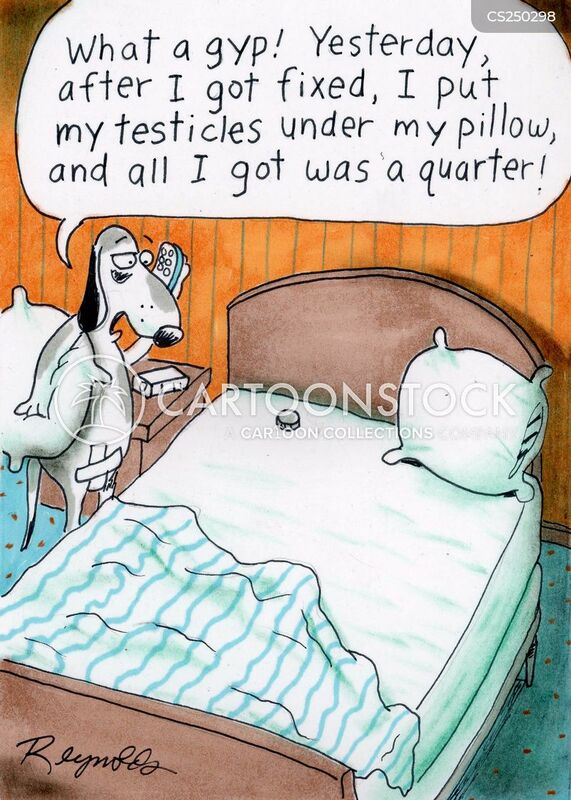 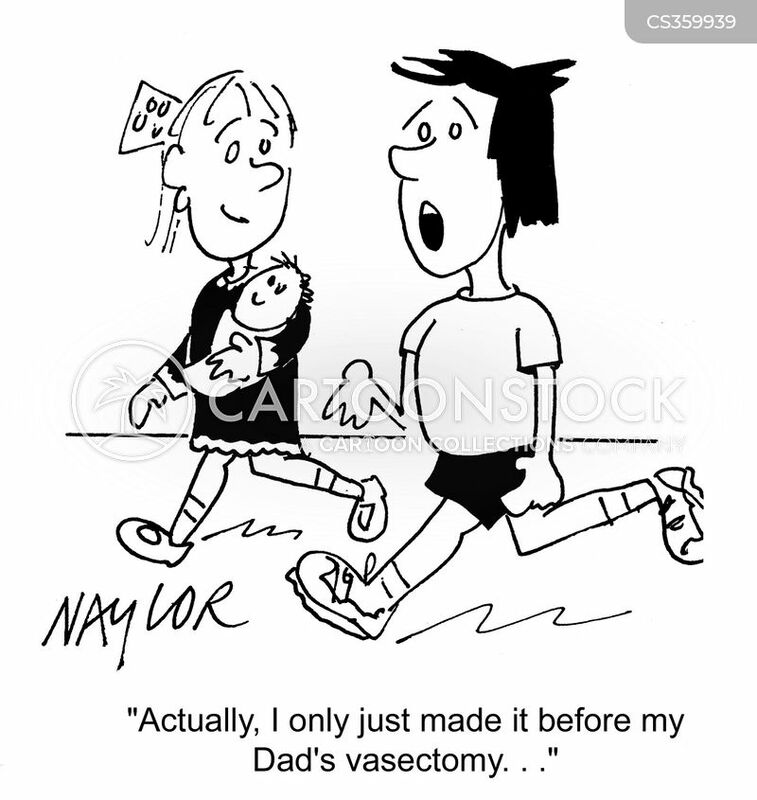 "You couldn't resist telling him about your vasectomy could you?!" 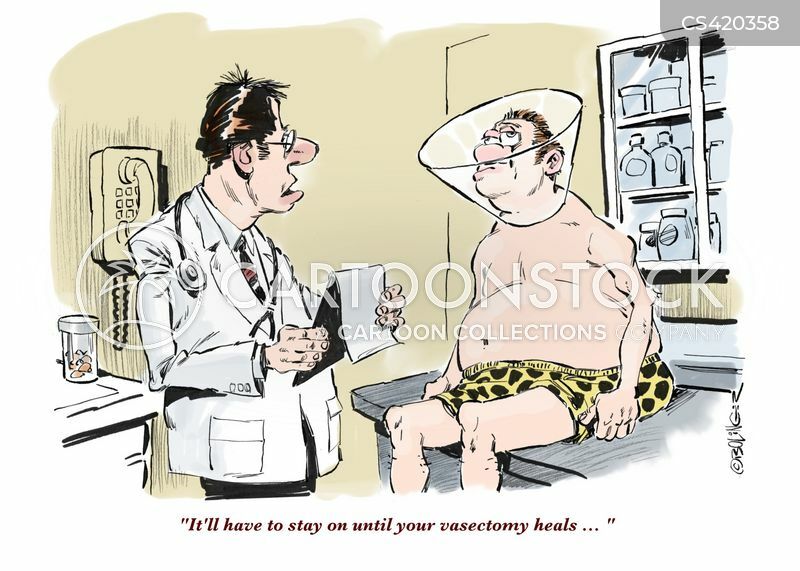 "It'll have to stay on until your vasectomy heals..."